Nothing can escape a black hole, but the laws of quantum mechanics state that information can never be totally erased. Now, scientists are trying to find out if information inside a black hole is preserved — or lost forever. According to physicist Stephen Hawking, if a particle falls into a black hole, the black hole will lose a bit of mass in the form of energy. Black holes radiate small amounts of energy and evaporate over time. Logically, if something falls into a black hole, it will be lost. This creates the information paradox. It’s possible that information is preserved via entangled photons, photons which have quantum states linked to the other, no matter how far they are. 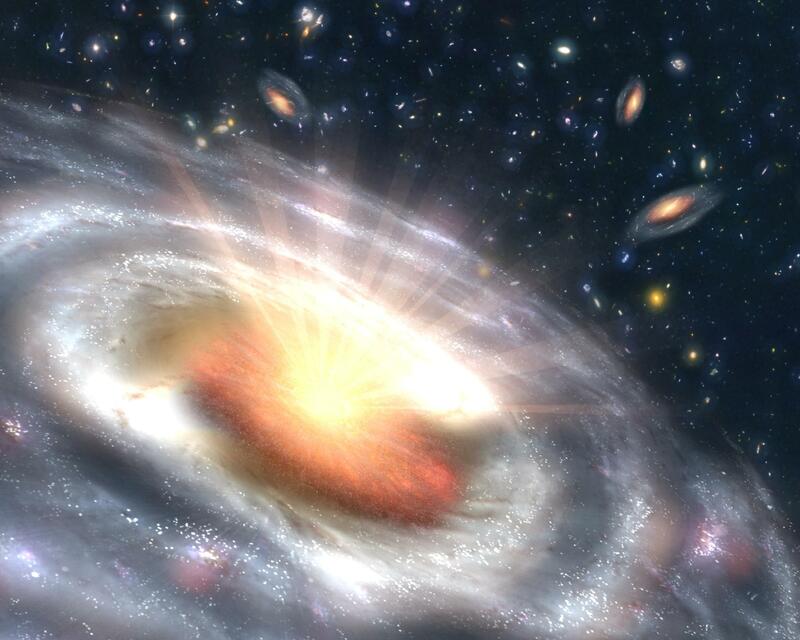 In this theory, information is released in a burst of energy as the black hole evaporates. Pisin Chen of National Taiwan University and Gerard Mourou of École Polytechnique in France published a paper in Physical Review Letters Monday on how they can solve the information paradox using using a next-generation particle accelerator called a plasma wakefield accelerator. These accelerators shoot pulses of laser light into plasma to create a wave of electrons rippling through a cloud of ionised gas. This will keep building in intensity. This accelerator works as a mirror that mimics a black hole’s event horizon. When the mirror stops moving, it would create a sudden burst of energy, similar to a black hole evaporating. Chen and Mourou also came up with a way to accelerate the plasma wakefield itself. They haven’t conducted the experiment yet, but they believe this could help model other properties of the black hole, like how it distorts space-time. On the other hand, Hawking says information doesn’t enter the black hole in the first place. “I propose that the information is stored not in the interior of the black hole as one might expect, but on its boundary, the event horizon,” Hawking said at a conference in August 2015. In other words, the physical information about an object and its particles get trapped at a spherical threshold around the black hole. Instead of getting pulled into a black hole, Hawking says the information changes into a kind of hologram that stays on the surface of the event horizon. Since we can’t get close to a black hole, we don’t know for sure what happens to information at a black hole and if Hawking is right, but a plasma tidal wave may inform us soon.